Few clinicians today would dispute that stress has a detrimental impact on human health. However, beyond that admission, most would find it difficult to define exactly how stress influences chronic disease and how to measure that influence in specific patients. 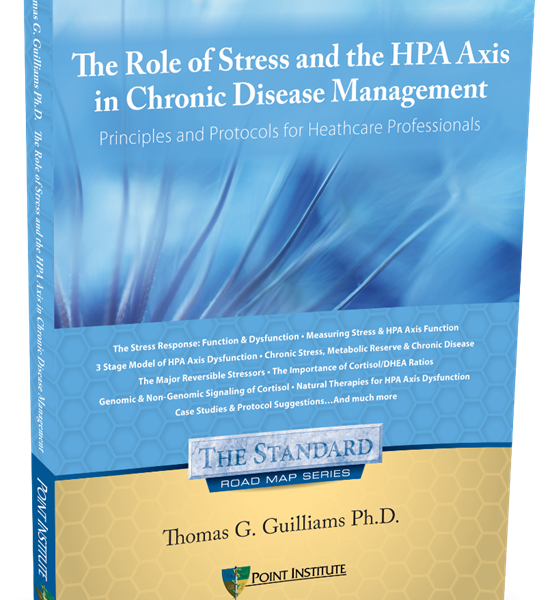 Research over the past few decades has greatly increased our understanding of the role the HPA axis plays in metabolic and circadian regulation, and how acute and chronic stressors can create discrete patterns of HPA axis dysfunction. Unfortunately, much of that knowledge is either unknown or unleveraged within most health care settings today. Though clinicians trained in integrative and functional medicine paradigms are often more aware of these details, in many cases they are using out-of-date nomenclature or oversimplified explanations that need updating or correcting. 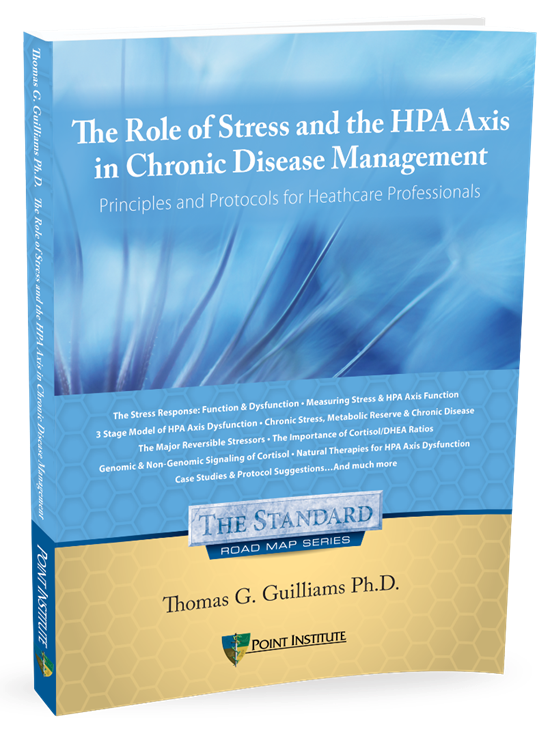 The Role of Stress and the HPA Axis in Chronic Disease Management is designed to bridge the gap between the growing clinical research in the area of stress and HPA axis function and the growing clinical burden of diagnosing and treating stress-related dysfunctions. Thoughtfully written and richly illustrated, this guide is intended as a teaching tool and reference guide for any healthcare provider who cares for patients experiencing stress or its consequences. This guide also provides practical discussions on available laboratory testing options and a critical evaluation of the evidence supporting nutrients and supplemental interventions for stress management. Is it Really Adrenal Fatigue?